Video games charity Gamechanger has launched its own Twitch extension that'll help streamers raise money for their cause. Gamechanger is a global non-profit that provides medical care and support for children with life-threatening illnesses. It also provides video game and VR equipment to children's hospitals. 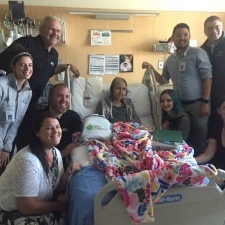 The Twitch extension will be used to fund the installation of gaming equipment to hospitals and care establishments, as well as college scholarships for the children the charity provides aid for. “We’ve been working very closely with the development team at Twitch, and we’re incredibly grateful for their overwhelming faith and support,” said GameChanger Charity CEO and co-founder Jim Carol. 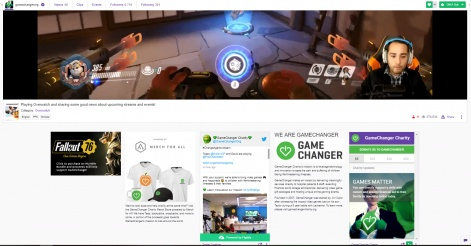 Gamechanger is the first charity to release its own custom extension on Twitch. It's similar to existing charity extension Tiltify, except it's built solely for one charity. The extension was the winner of Amazon Web Services’ recent non-profit Hackathon for Social Good, a coding competition at AWS re:Invent 2018. The charity also raised over $18 million in donations at the turn of the year. 'Tis the season to be giving; The Yogscast annual Jingle Jam charity event kicked off on December 1st, and YouTube sensation PewDiePie is also currently running a fundraiser for children in India.